This has absolutely nothing to do with metal! 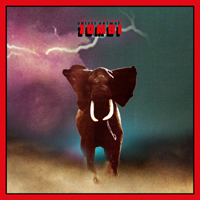 Zombi, a two man project previously know for their cinematic synth-based rock, has on this album taken in a new attitude, producing an instrumental ambient album with a few journeys into progressive territory. This emotional rollercoaster ride is absolutely not for everyone, and I do not think a whole lot of our readers will know what to do with this release. Fans of the likes of Isis, Tangerine Dreams, Pelican and Don Caballero should give this one a try.